Al Gore is back in Washington and back on the campaign trail, two realms with which he has always had a distinctly fraught relationship. 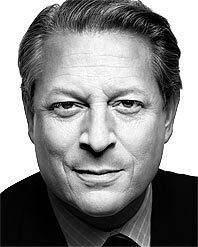 For the past three weeks, Gore has been touring the country, appearing at screenings to gin up buzz about his global-warming documentary film, An Inconvenient Truth. The reception has been rapturous: adoring crowds everywhere. Now he’s here at the National Geographic Society for the East Coast premiere, enjoying his freshly minted status as a semi-hemi-demi-movie star (tomorrow he’s off to Cannes), hoping to impress an audience of politicos and pundits who once wrote him off for dead. The houselights dim. The audience quiets. And Gore, up onscreen, begins to teach. An Inconvenient Truth, in case you haven’t heard, is a feature-length treatment of a slide show Gore has been honing for nearly two decades. For much of that time, he was virtually alone in the political class in fretting about global warming. But that was before what Gore describes as our recent “nature hike through the Book of Revelations.” Before the record-breaking heat waves, the melting glaciers, the drowning polar bears. Before the droughts, the typhoons, the tornadoes. And, oh, yes, before Katrina. Maybe so, but it would take either superhuman insouciance or acute amnesia for him not to relish the resurgence he’s currently experiencing. When Gore decamped from the capital to Nashville five years ago with his wife, Tipper, the move was seen as a kind of Nixonian exile. The Washington Establishment viewed him with a mix of scorn and pity. In the eyes of Democrats, he was the rightful heir to the White House who’d simultaneously let the prize slip through his fingers and be swiped from under his nose. The results for the country would prove calamitous—and Gore was to blame. And yet tonight all of that seems a very long time ago. When the movie ends, the assembled panjandrums—from Democratic senators Harry Reid and Christopher Dodd to Joe Wilson, Valerie Plame, and Queen Noor—emit a warm ovation; at the cocktail party afterward, they slap his back, congratulate him on his recent cameo on Saturday Night Live, sing hosannas to the New Gore. Suddenly, the former vice-president no longer seems an entirely tragic figure but a faintly heroic one. Suddenly, many Democrats are wondering if he will run again in 2008—and reaching the improbable, nay astonishing, conclusion that it might be a good idea. Al Gore has been in public life since 1976, when he was elected to Congress at the age of 28. Throughout his career, he has won praise for his intelligence and discipline, for his rectitude and engagement with ideas. He’s also been pilloried for his tone-deafness, lambasted for his lack of charisma, turned into a punch line for his (literal) rigidity. But what no one has ever said about Gore was that he inspired much passion, even among his adherents. He was always esteemed, never beloved—until now, that is. Yet Gore’s statements about 2008 are as precise and elusive as a Basho haiku: Saying that politics is behind him doesn’t foreclose the possibility that it might also be in front of him. What’s clear is that Gore would love to be president, but the thought of the whole awful business of getting there makes him nearly nauseous. Gore’s awareness of this conundrum is keen and wrenching. How he resolves it will determine not just the shape of the 2008 campaign but whether the New Gore is the real deal or the Old Gore in disguise. It’s a Tuesday afternoon in April, and Gore and I are in a conference room at DreamWorks (whose corporate parent, Paramount, is distributing An Inconvenient Truth) high above Madison Avenue. Gore, 58, is dressed in a dark-blue suit, a crisp white shirt, and cowboy boots. His hair is grayer, but not much thinner, than it was a few years ago. Since 2000, Gore has taken constant ribbing about his weight, to the point that he’s apparently become self-conscious about it. A friend of mine describes attending a party at an apartment in the city and finding Gore in the hallway, facing the wall, furtively wolfing down an ice-cream sundae. Gore explains that his “life post-politics” consists of five major strands. There’s teaching: He lectures at Middle Tennessee State University and Fisk University. There’s technology: He sits on the board of Apple and serves as a “senior adviser” to Google (a hopelessly vague connection that is rumored to have netted him millions of dollars by way of Google stock). There’s Current TV, his youth-tilted, user-driven cable network. There’s Generation Investment Management, an equity fund run by London moneyman David Blood (the former CEO of Goldman Sachs Asset Management) and former Gore aide Peter Knight, who describes its philosophy as “trying to push the capital markets towards long-term thinking and sustainability.” And then there’s the crusade against global warming, which is clearly first among equals. Gore started putting his slide show together. He sat down and wrote Earth in the Balance. 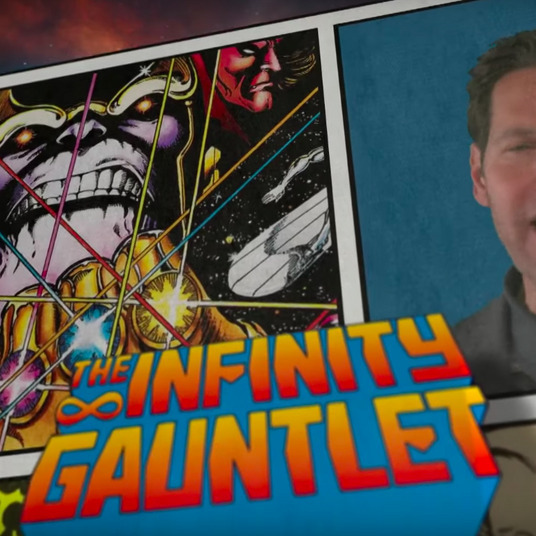 And, according to his old friend Reed Hundt, the former FCC commissioner, he set his sights on making a documentary, “something along the lines of Carl Sagan’s Cosmos”—plans that were scuttled by a call from Bill Clinton in 1992. After the smoke from 2000 cleared, Gore updated his slides—“Tipper said, ‘You should put those in computer-graphics form, Mr. Information Superhighway,’ ” Gore recalls—and started giving his talk in any forum that would invite him. One audience member who saw the presentation was Laurie David, the influential Hollywood activist and wife of comedian Larry David. David tells me she was floored: “It was just so clear that it had to be a movie,” she says. That may be true when it comes to the science: Gore’s presentation is lucid, empirical, and scarily persuasive. But when it comes to Gore himself, it’s impossible not to be struck by impressions with political implications. Two of those impressions come as no surprise: that Gore is a classic pedant or pedagogue, depending on your tastes (I know more about this than you do, so please listen closely), and that he has a messianic streak (The world is about to end unless you follow my lead). But overriding both is something less expected and more alluring: the image of Gore as passionate, funny, full of conviction, free of contrivance—utterly authentic. The 2000 campaign remains a painful topic for Gore. In the years since, he has dealt with that hurt by generally refusing to discuss the contest. But over dinner one night at the Four Seasons in Toronto, where Gore has come for a screening of the film, I broach the subject anyway—and find him willing to go there. Looking back, I ask, are you happy with the campaign you ran? “I think it was a tough environment,” he replies. “It’s now clear that a fairly significant recession started in the spring of the election year, and the stock market fell dramatically all through the campaign, and it came at the end of an eight-year cycle that triggered the normal pendulum effect of American politics—which cuts in two different ways. The hunger of the party that’s been satiated for eight years has a half-life. And the hunger and determination of the party that’s been out for eight years is built up to a fevered pitch. And then there’s a third factor. In both 1992 and 1996, Bill Clinton and I were very fortunate to have a significant third-party candidate that drew virtually all of his votes from the Republican nominee. By contrast, in 2000, there was a third-party candidate drawing from me. And the task of holding down that number to the noise level, while simultaneously reaching out to the centrist voters who were vulnerable to that pendulum effect, made it a campaign of an impressive degree of difficulty. Does he, like many Democrats, think the election was stolen? Gore’s reading of history has much to commend it, to be sure. But it leaves out a number of salient factors, principally his own failures as a candidate: the failure to capitalize on, or take credit for, the previous eight remarkable years of prosperity and peace; the failure to exploit Clinton’s enduring popularity despite the Monica Lewinsky scandal; the failure to take Bush apart in the debates, where Gore’s performances left the impression that he suffered from multiple-personality disorder; the failure to present a consistent or coherent image of himself, instead offering an incessant series of self-reinventions that made him seem about as authentic as a Prada bag on Canal Street. One persistent theory is that Gore was in thrall to his campaign consultants, who poll-tested, dial-metered, and focus-grouped every ounce of verve and spontaneity out of him. In the journalist Joe Klein’s new book, Politics Lost, Klein claims that Gore even let his hired guns keep him from talking about the environment. No doubt Gore is right about the media’s myopia concerning the environment. In June 2000, for example, Gore delivered a speech in Philadelphia laying out what Elaine Kamarck calls “the most comprehensive anti-fossil-fuels program ever”—a $150 billion, ten-year plan. The New York Times covered the speech on page A24. Gore penned that self-castigation for the introduction to Earth in the Balance. For him, the book and his devotion to environmentalism were part of a quest to absolve himself for his “timidity of vision” and “tendency to put a finger to the political winds and proceed cautiously.” Late in 2000, those who noticed the similarities between that year’s campaign and the one twelve years earlier wondered whether Gore would feel the need afterward to redeem himself by plunging into another moral crusade. And, judging from An Inconvenient Truth, the answer turned out to be yes. When I point out the parallel to Gore, he gravely nods his head. In the years before Gore’s father died, in 1998, the old man liked to offer visitors to the marble farmhouse where he lived in middle Tennessee a tour of the kitchen. Its walls were filled with family photographs, many of them tracing the arc of the career of his only son. But one of the walls was left conspicuously bare—the one that Gore Sr. had reserved to memorialize the presidency of Gore Jr.
Gore’s anger at Bush may be a kind of coping mechanism—but it is searing and visceral. And it’s been the fuel propelling him on the road to political rehabilitation. Between the Dean endorsement, his position on the war, and the fury of his critique of the administration, Gore was building a constituency where he’d never had one before: on the left wing of his party. Had Gore been radicalized by his loss in 2000? Was he always more populist than he’d let on? Or had he simply grasped that the energy in Democratic politics was shifting from the Beltway toward the so-called Netroots? Possibly, the answer is all three. But at least one of Gore’s former aides believes that there was more calculation involved—that Gore was keeping his powder dry for 2008. “He has acquired a halo from being out of politics,” this person says. “Americans love nonpoliticians, and Gore understands this. For a couple years, in a very disciplined way, he resisted a lot of tempting offers to make himself a more public figure.” At one point in the run-up to 2004, this person called Gore and begged him to enter the fray. Gore demurred, offering an explanation that was infinitely telling: “You can’t be missed if you never go away,” he said. Gore’s arrival in the theater is greeted with thunderous applause. Standing on a riser in front, he takes questions for 45 minutes. Gore is winning in this setting, loose and informal. Asked about the connection between faith and being green, he quips, “Noah was commanded to preserve biodiversity.” Only once does he lapse into Old Gore didacticism, answering a query about the film’s release schedule with a lecture—“There is, in the modern-day economics of movies, a certain time lag after the theatrical release, when there will be DVDs available”—that leaves his questioner looking stunned and defeated, as if he’s been bludgeoned with a stick. After the Lewinsky scandal and the 2000 campaign, the Clinton-Gore relationship plummeted into a downward spiral. On Gore’s side, there was a bedrock belief that, as one of his friends puts it, “if Clinton hadn’t been impeached, Al Gore would be president and the world would be a different place.” And on Clinton’s side, there was certainty that had Gore been even a modestly competent campaigner, the impeachment wouldn’t have mattered—a view the Clinton people (and Clinton himself) liberally spread around. By the time Clinton and Gore left the White House, each was nurturing such grave resentments that they were no longer speaking. Back at the hotel, Gore informs me that the breach has been repaired. We’re sitting in his room—“The presidential suite! That hurts!” he cries—and Gore has just cracked his second Heineken. So that constituted the rapprochement? All of the resentments fell away? There is something ineffably comforting about knowing that Gore and Clinton are no longer stewing in the juices of mutual recrimination. But what makes Gore’s sepia-toned response even more notable is the contrast with how he addresses another question: What does he think of the politician Hillary Clinton is becoming? Undaunted, I ask about Senator Clinton’s vote to authorize the Iraq war. Hence the argument for Gore. To begin with, unlike all but a handful of Democrats, Gore, with his ties to the Netroots and his burgeoning personal wealth, could readily raise the requisite funds to take on Mrs. Clinton. Having loudly and steadfastly opposed the war, he could challenge her from the left. Yet on national security, he could simultaneously run to her right, given his long-held expertise about bombs and bullets and his advocacy of intervention in Kosovo and Bosnia; as a putative commander-in-chief, his credentials are beyond reproach (no small thing in an age of terror). Similarly, Gore’s anti-global-warming jihad would stand him in good stead with the greens and other liberals, while his long and demonstrated history as a moderate on countless other issues (from the deficit to “reinventing government”) would allow him to score with centrist Democrats who fear that Clinton is a once-and-future lefty. No surprise, then, that the prospect of Gore redux is causing queasiness in the Clinton ranks. For some time, the thinking there has been that only two potential candidates have the capacity to toss the chessboard in the air, altering Team Hillary’s carefully calibrated plans: Barack Obama and Gore. And it is Gore who would produce the biggest fits—not least because he would bring to the surface all the old internecine rivalries and interfamilial weirdness of the Clinton years. Al Gore stares across the table. He’s ready for the question. He’s probably been waiting for it since he first laid eyes on me. What Gore has said about 2008, repeatedly, is that he does not intend to run, that he does not expect to run, that he has no plans to run. All of which, as every politically sentient being knows, is thoroughly meaningless. What Gore has not said—the magic words—is that he will not run. I tell him that all of his allies are telling me that everyone they know is telling them that he ought to run. He knows. I tell him about people in Hollywood and Silicon Valley, New York and Washington who say that the country needs him to run. He knows. So what does he say to those people? So let’s clear this up: Why don’t you say right now, unequivocally, that you will not run? Then no one will have the impression that you’re leaving the door ajar. Gore puts his left elbow on the table, cups his cheek in his hand, and audibly exhales. Coy is not what Gore is being. What Gore is being is smart. His rehabilitation has been propelled by his liberation—by the fact that, as Roy Neel puts it, “he’s not forced into various boxes that you subject yourself to when you’re a traditional politician running for office.” But Gore’s liberation isn’t simply about the words that he can utter; it’s about how those words are heard. He is liberated from the filters that people put on their ears when they’re listening to scheming candidates. This second form of liberation is essential to the success of his global-warming efforts. Recently, Gore’s people announced the formation of a new nonprofit called the Alliance for Climate Protection. Funded initially by Gore, its mission is to promote public awareness about the climate crisis. The group will be scrupulously nonpartisan, with board members ranging from Carol Browner, Clinton’s head of the EPA, to Brent Scowcroft, Bush 41’s national-security adviser. Were Gore an out-front candidate like, say, Mark Warner, the group would seem tainted—indeed, it might never get off the ground. Though Gore is a religious man, one doesn’t recall him quoting Scripture often in the past in his oratory. But today his talk is built around a biblical refrain: “Where there is no vision, the people perish.” Time and again he repeats the phrase to punctuate a litany of Bush abominations—all of them illustrating the central theme of willful blindness. The ignoring of the warnings before 9/11. Of the warnings before Katrina. Of the warnings about global warming. This is a stump speech—or rather, half a stump speech. And a damn fine one at that. It’s certainly a more coherent and rousing condemnation of the Bush administration than I’ve heard from any other potential 2008 candidate. Could it happen? Certainly. In a way, it already has. In 1960, Richard Nixon was beaten by John F. Kennedy by the slenderest of margins (in another possibly stolen election). But eight years later, Nixon—benefiting mightily from the comparison with the 1964 GOP nominee, Barry Goldwater—sloughed off the rejection by the voters and his party to secure the White House. Gore’s ambivalence about politics is as genuine as anything about him. And, in the end, it might keep him out of the hunt in 2008—that and the appeal of the novel role that he’s carving out for himself in public life. The Democratic Party is in dire need of elder statesmen, not to mention truth-tellers, and Gore could provide a valuable service by filling both those voids. And the planet is certainly in need of saving, a cause to which his commitment is evident.